Honestly, I have a hard enough time dealing with Christmas in December, much less thinking about it in the scorching heat of July. 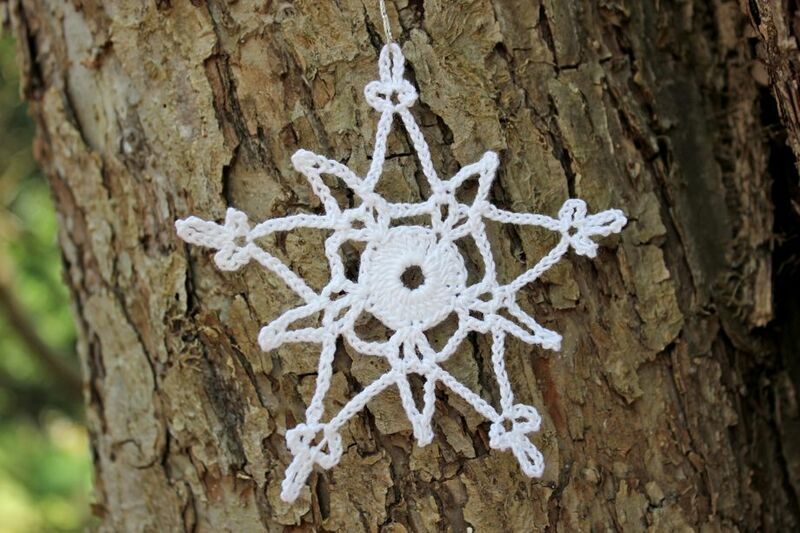 That said, I found myself crocheting these snowflakes for the holiday tree that I adorn with mini hand-knit sweaters, stockings and mittens. I had an old Leisure Arts Leaftlet, #255, which featured crocheted snowflakes and angels. I think this leaflet is out of print (maybe available on ebay) but there are free snowflake patterns everywhere…especially here. I used size 10 crochet cotton and a size 4/2.0mm crochet hook. 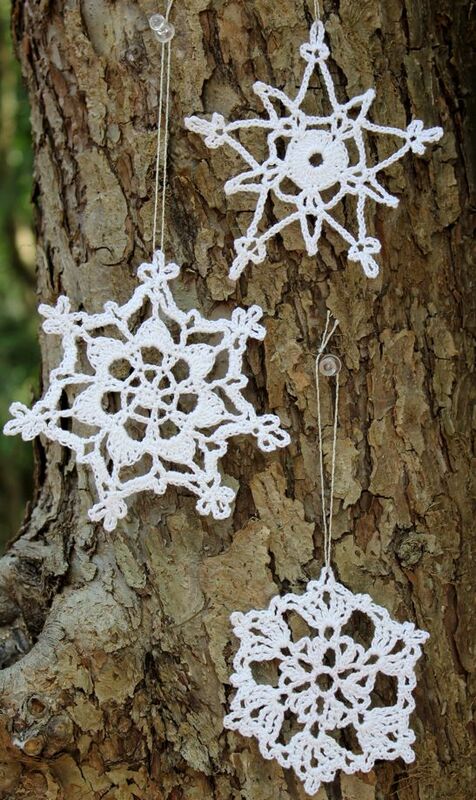 If you are so inclined to give in to “Christmas in July”, these snowflakes are a small, quick and easy fix. Although they are delicate and pretty, I won’t be adding to this collection until there is a chill in the air and the holiday music channels are in full blast on Sirius XM. Love them do you starch them??? Thanks, Kris. I just sprayed each side with some Niagara original spray starch before blocking them with the iron. They have some body, but they are not as stiff as they would be if I had dipped them in liquid starch. Could you please, please make me a couple? 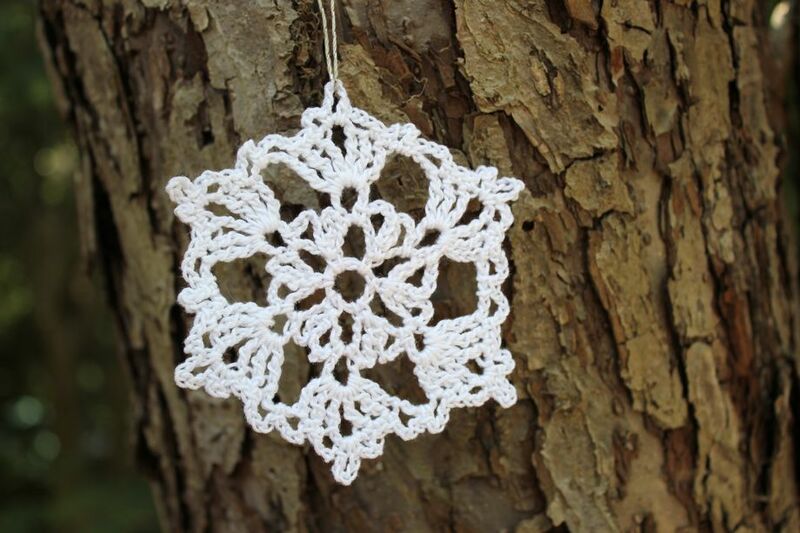 I enjoy collecting all types of handmade snowflakes for our Christmas tree. 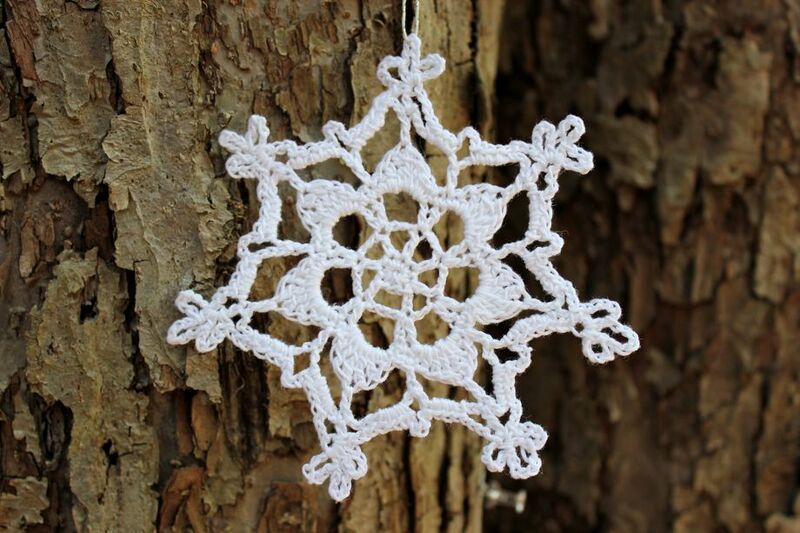 I’d be honored to add a few snowflakes to your treasured collection! I’ll let you know when they’re done. Hope all is well with you and your beautiful family!